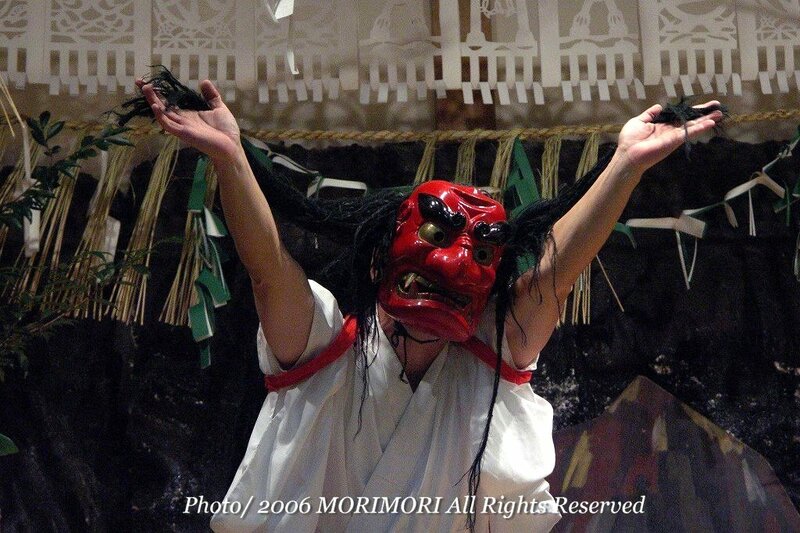 when the gods were sure that　Amaterasu　was hiding in　Amano−Iwato Cave，they gathered in　front of　the cave. 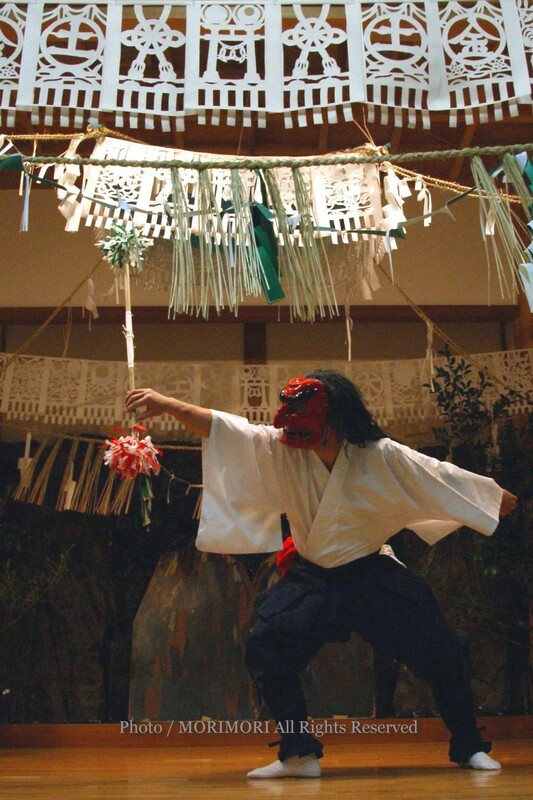 Ameno−uzume then perfomed the very unusual dance　which made the other gods laugh and make much noise．The laughter made　Amaterasu curious so she peeked out from the cave. 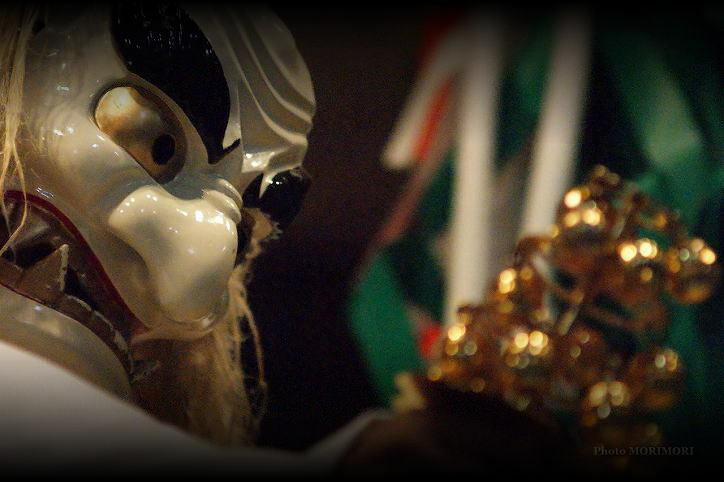 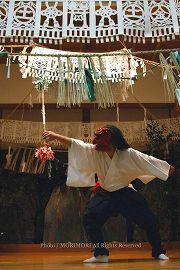 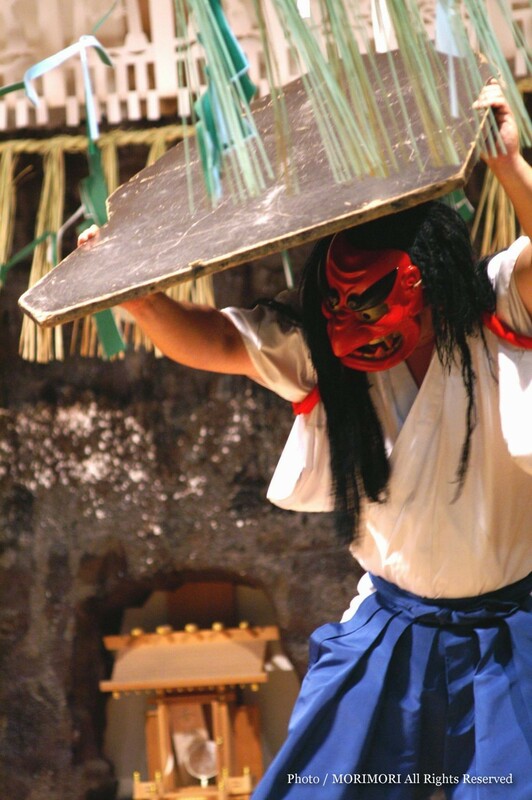 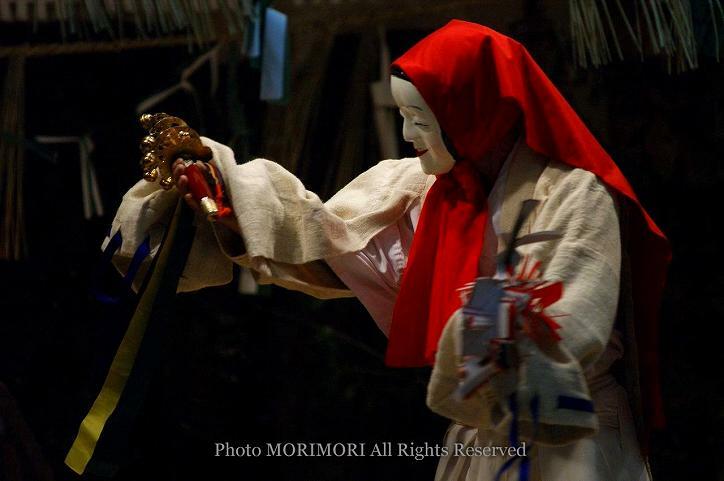 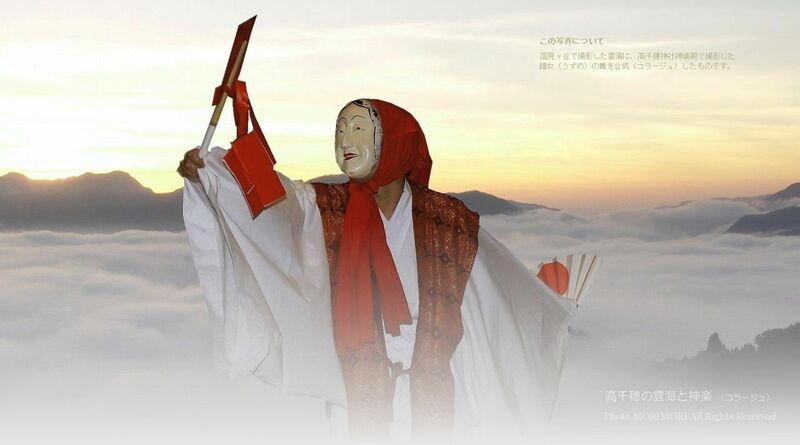 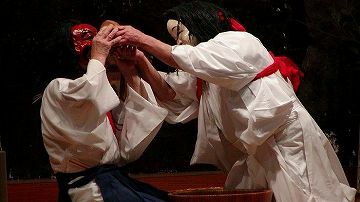 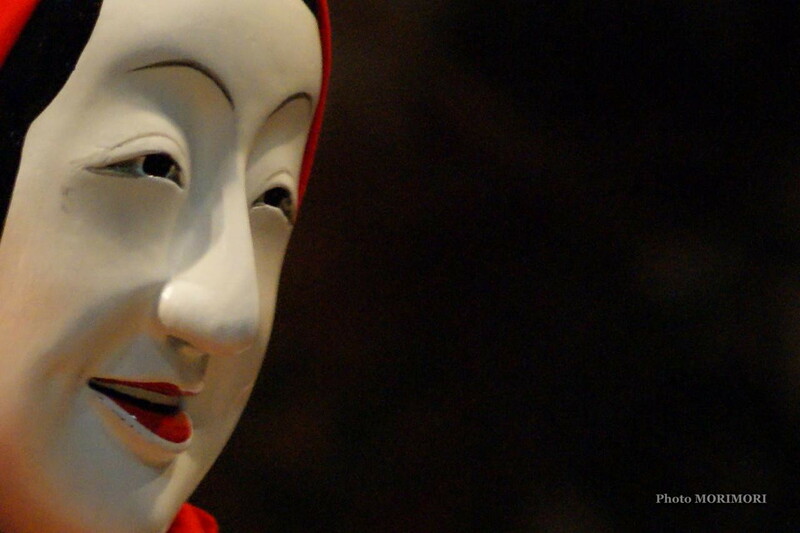 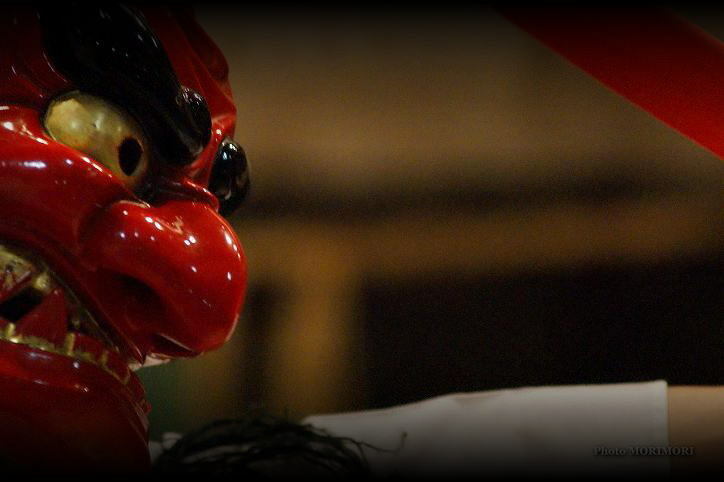 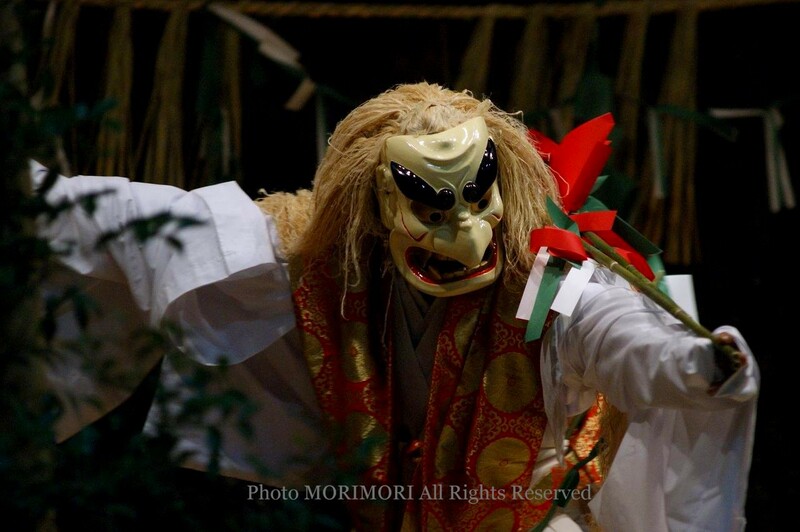 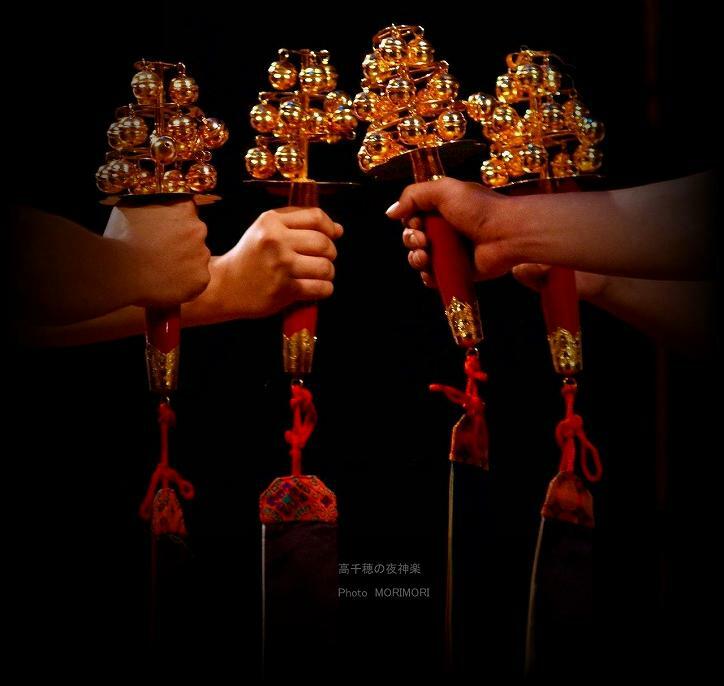 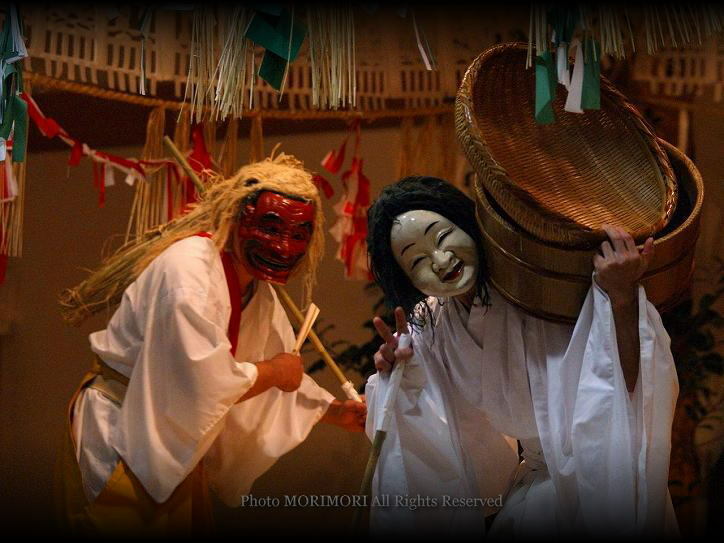 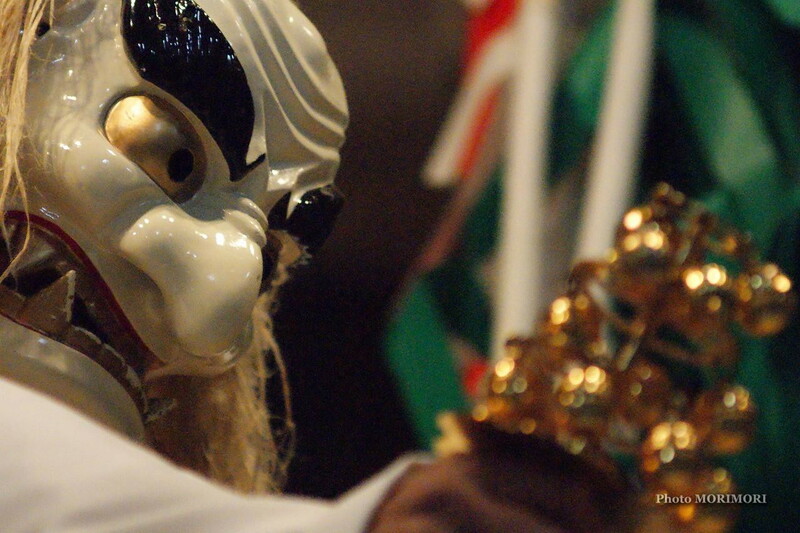 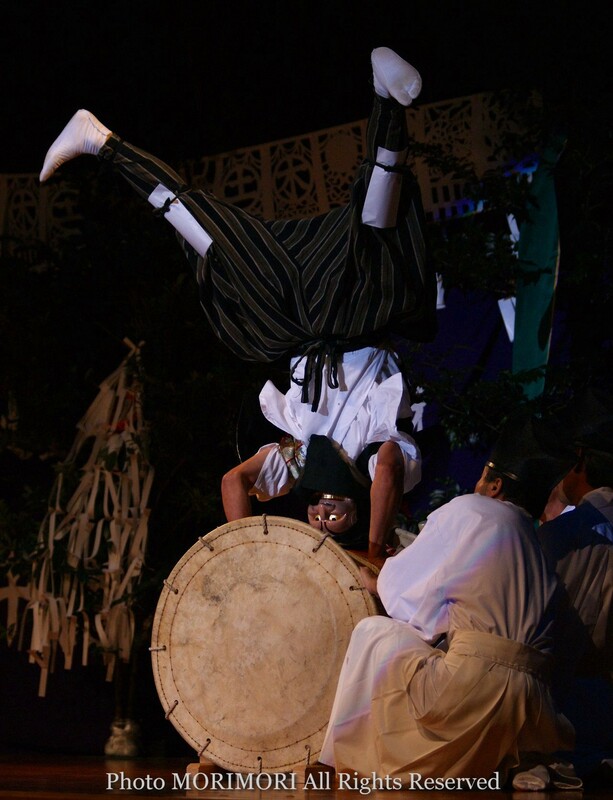 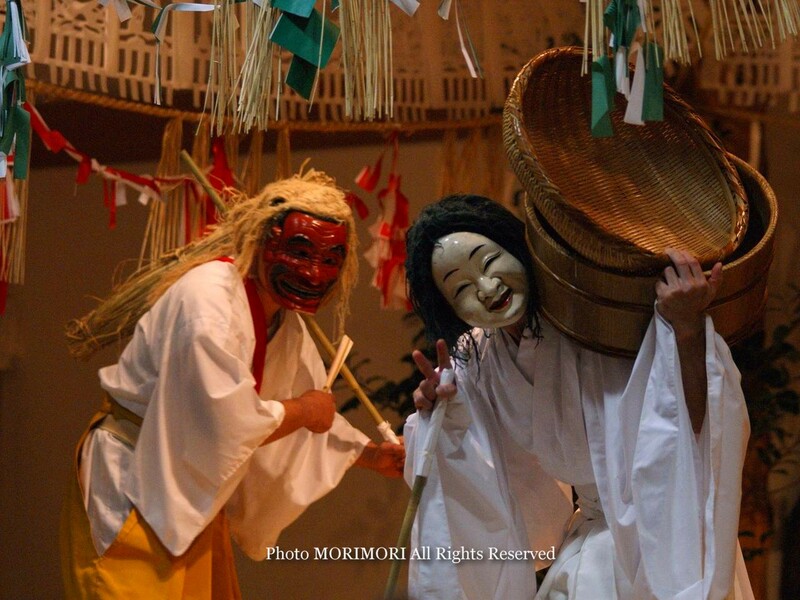 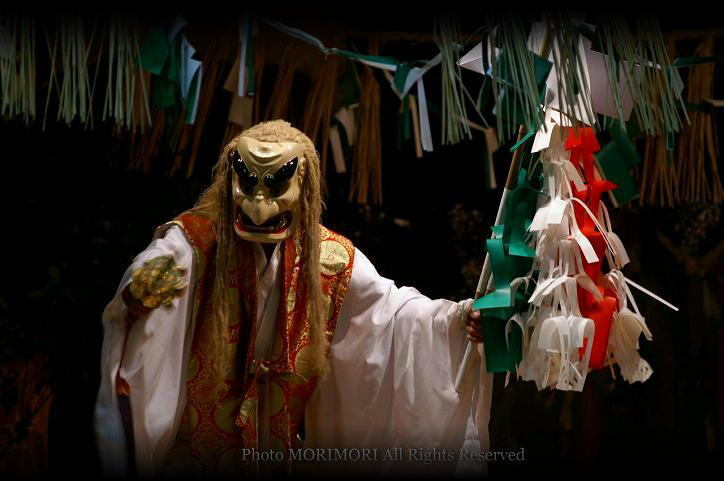 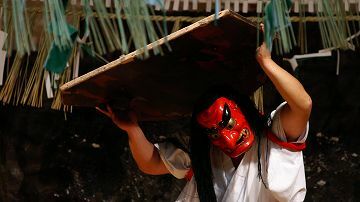 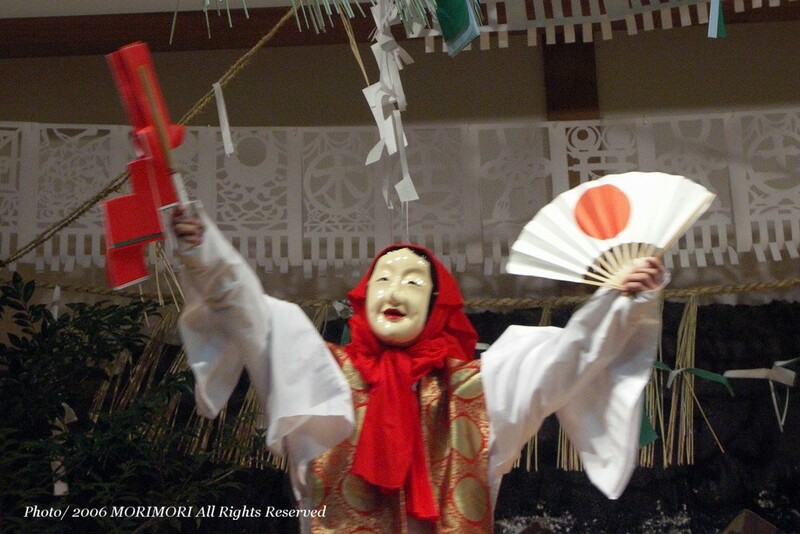 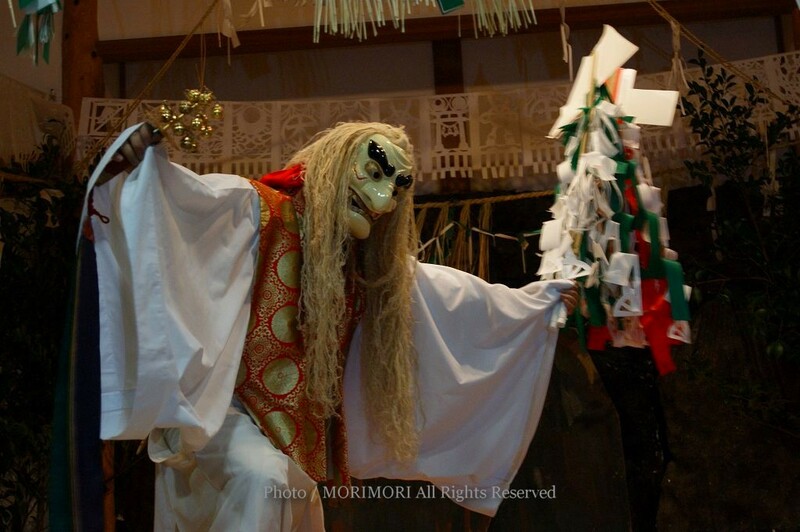 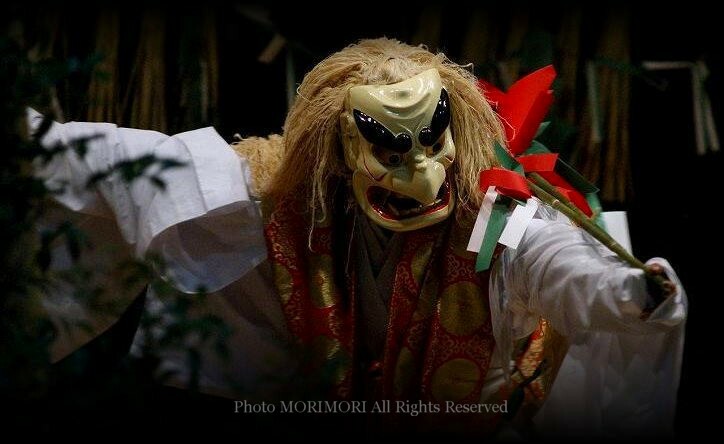 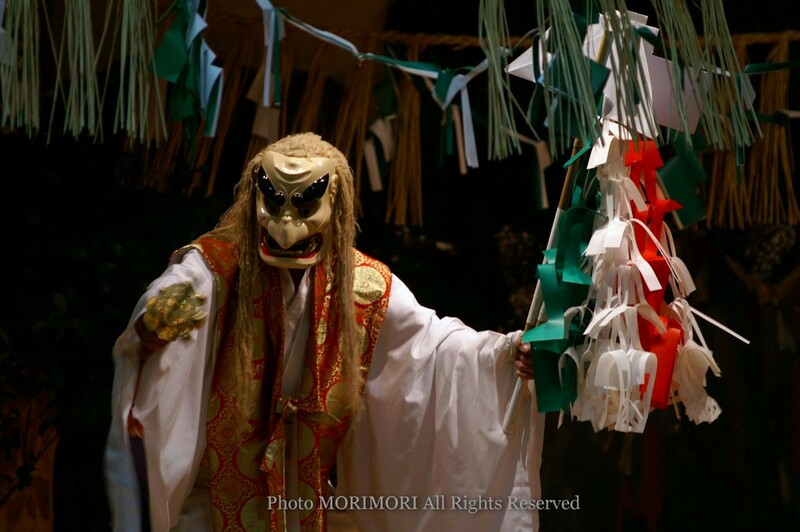 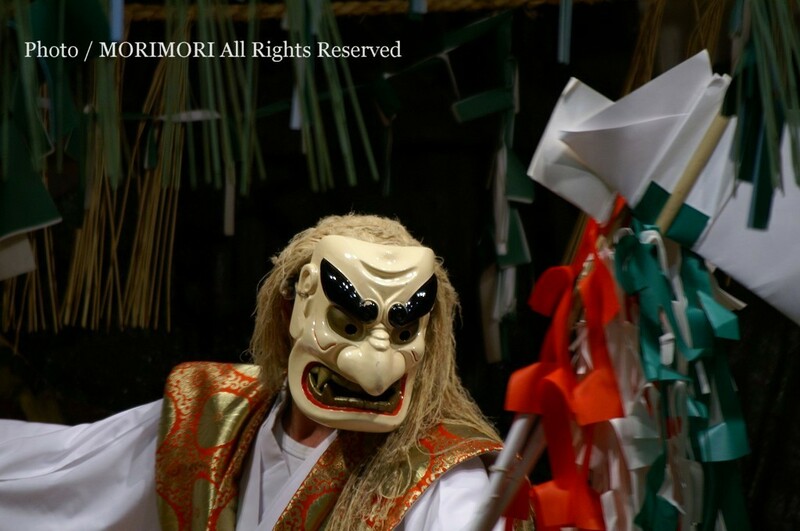 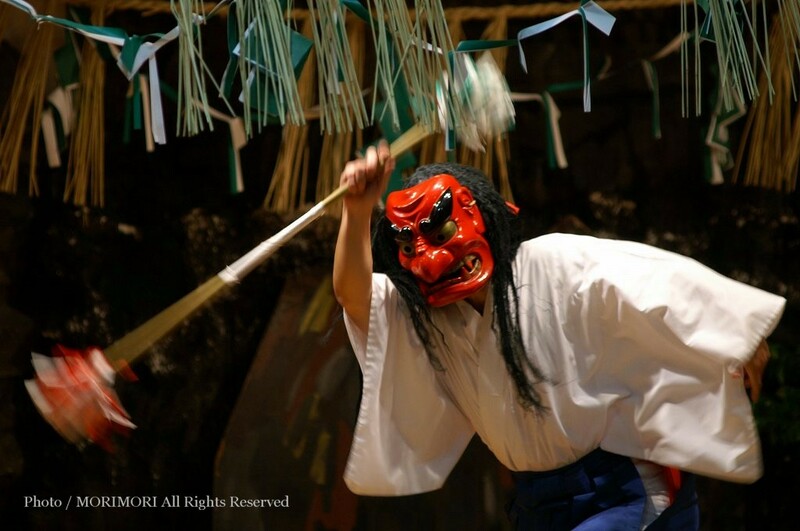 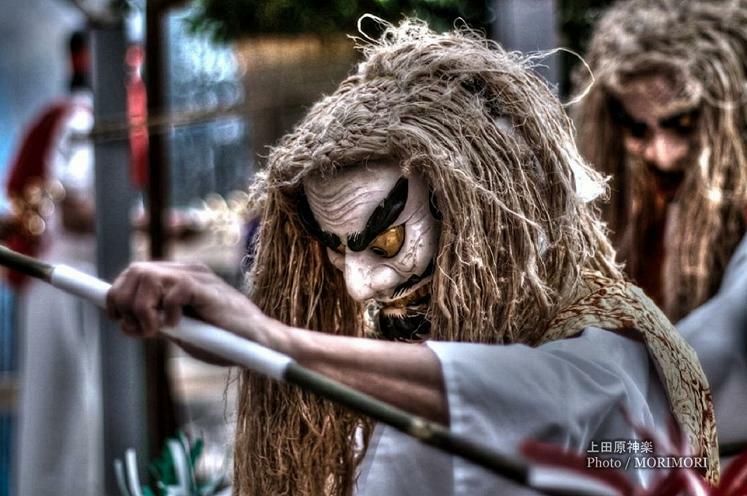 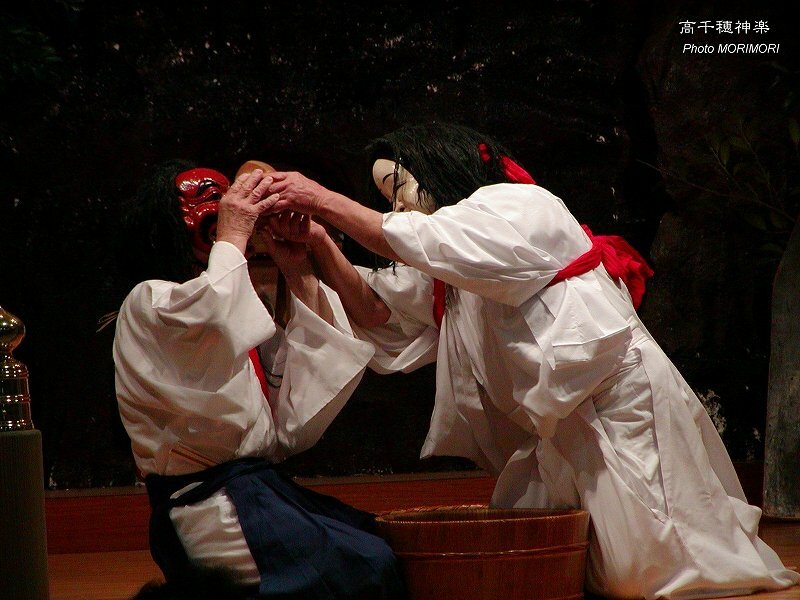 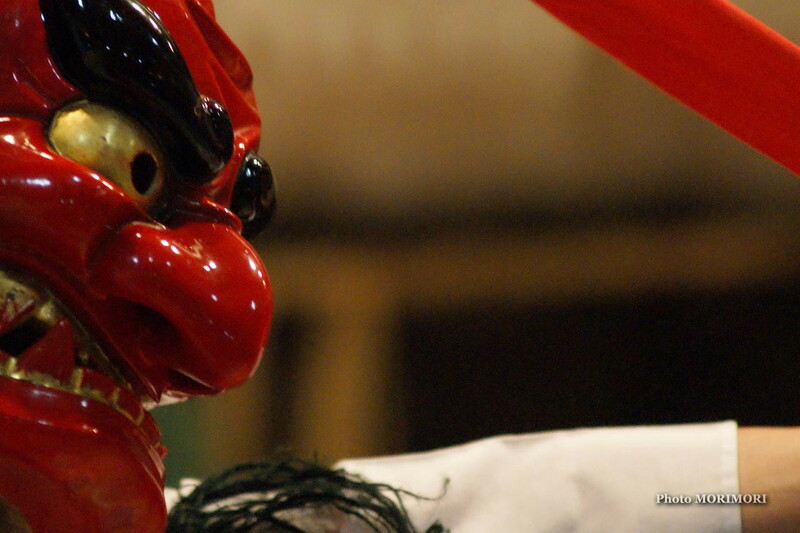 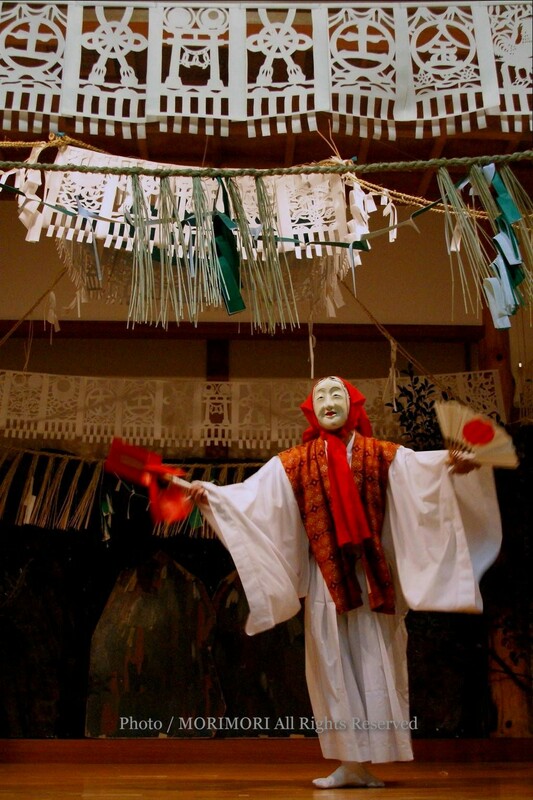 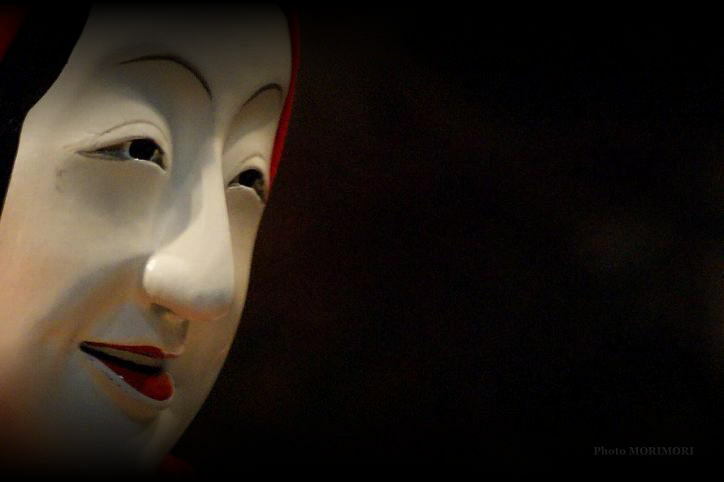 Kagura is a traditional dance performed by local men, its secrets passed down from generation to generation. 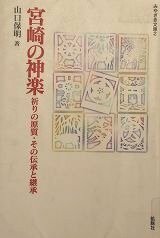 Its 33 dances act out various episodes from Japanese myths. The most famous of which is when the the sun goddess Amaterasu hides in a cave. 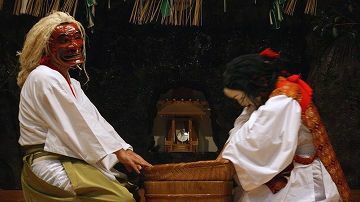 Her hiding in the cave causes the whole world to be plunged into darkness. The Goddess Amenouzume is then said to have performed a funny dance in front of the cave in order to entice her out. 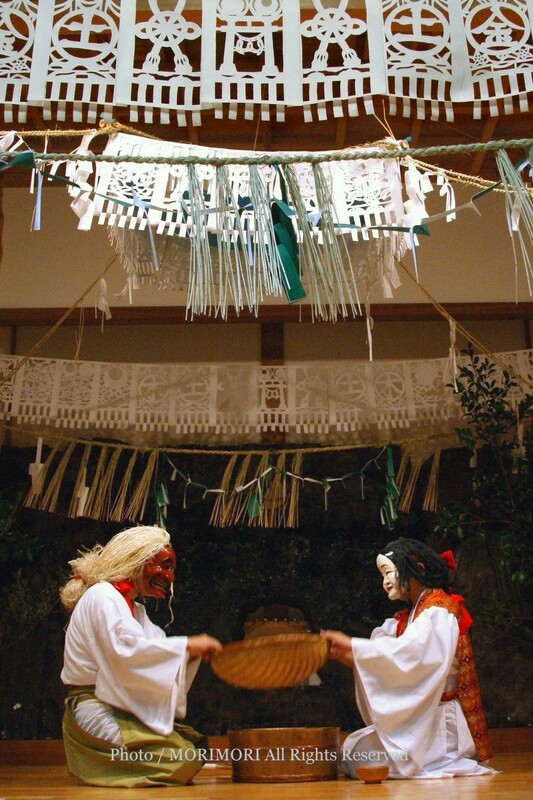 The dances are also a way for the villagers to thank the Gods for a good harvest and to guarantee the sun and the warmth will return in the spring. 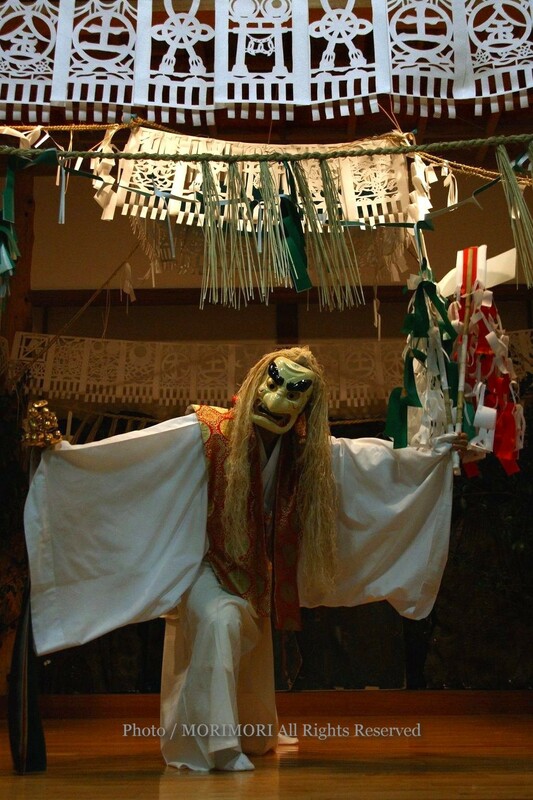 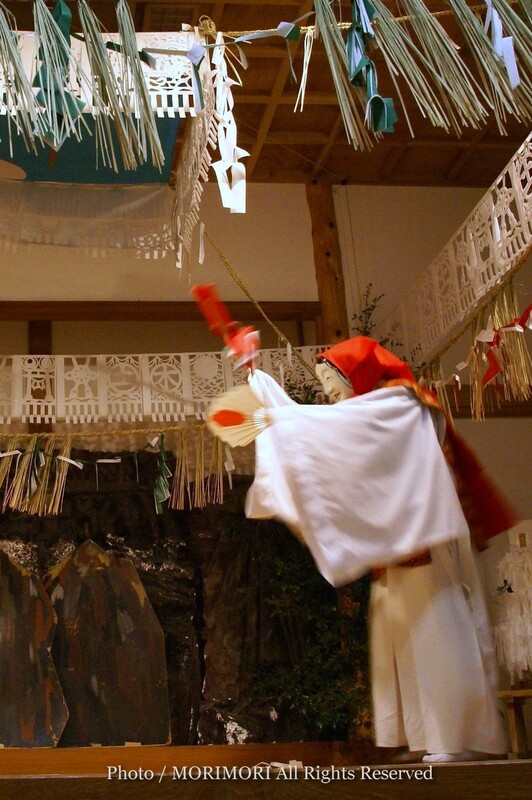 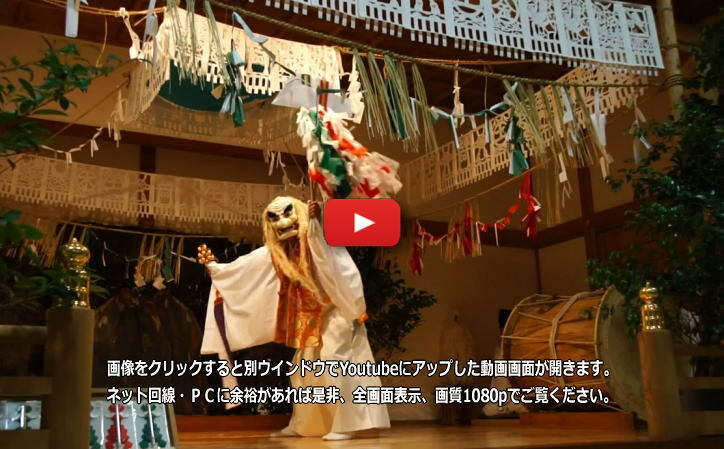 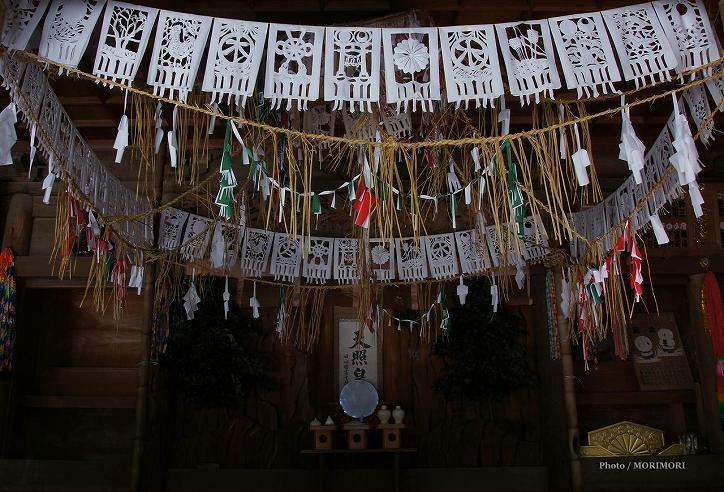 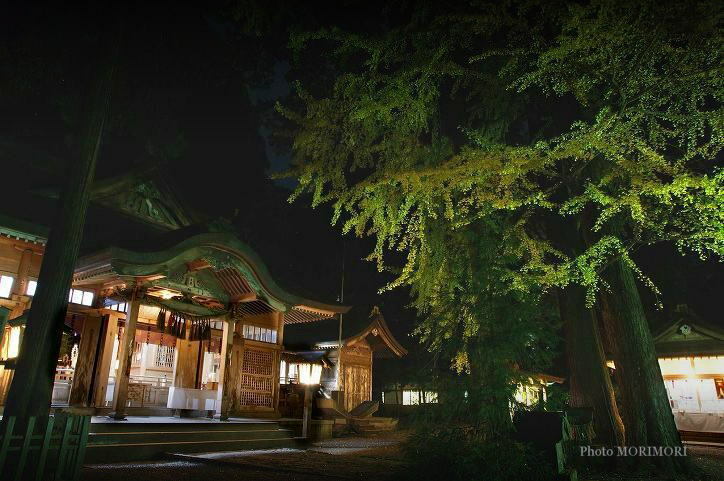 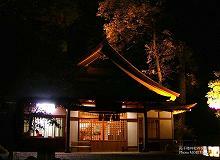 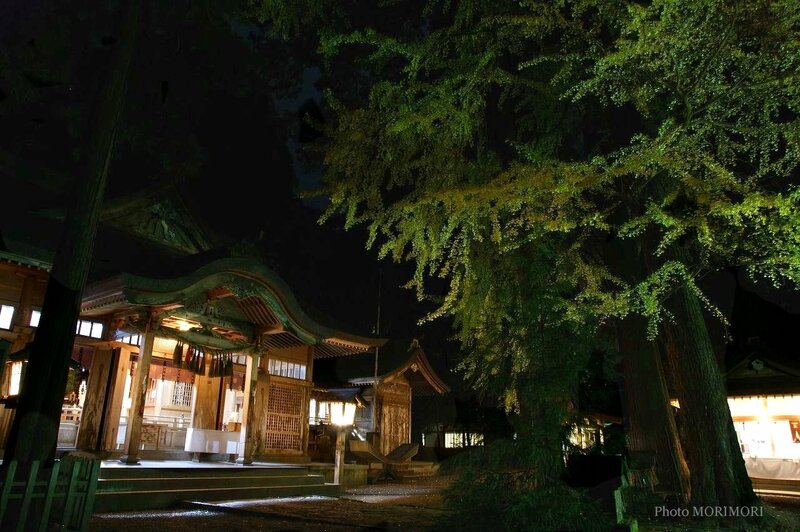 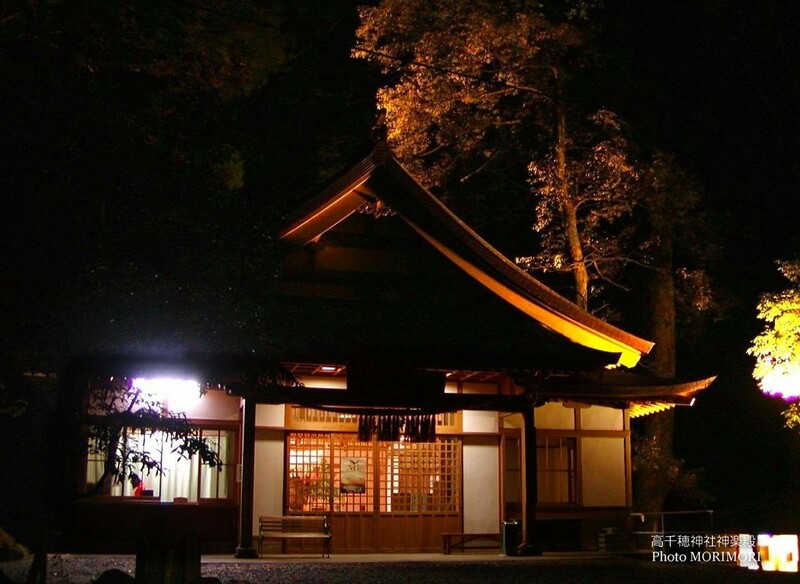 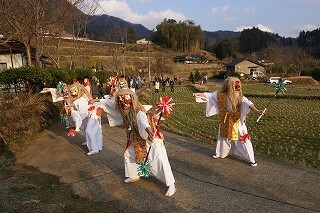 You can enjoy the re-enactment of the stories of the Gods during the night-long dances. 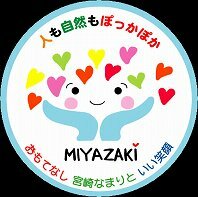 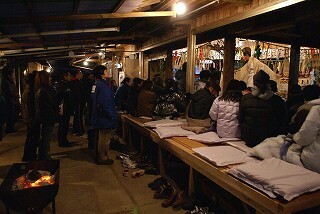 The season starts in November and goes on until February. 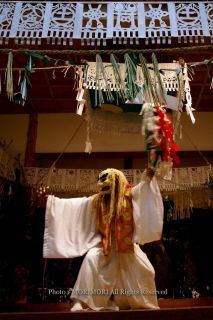 The dances are performed in local houses and community centres and everyone is welcome. 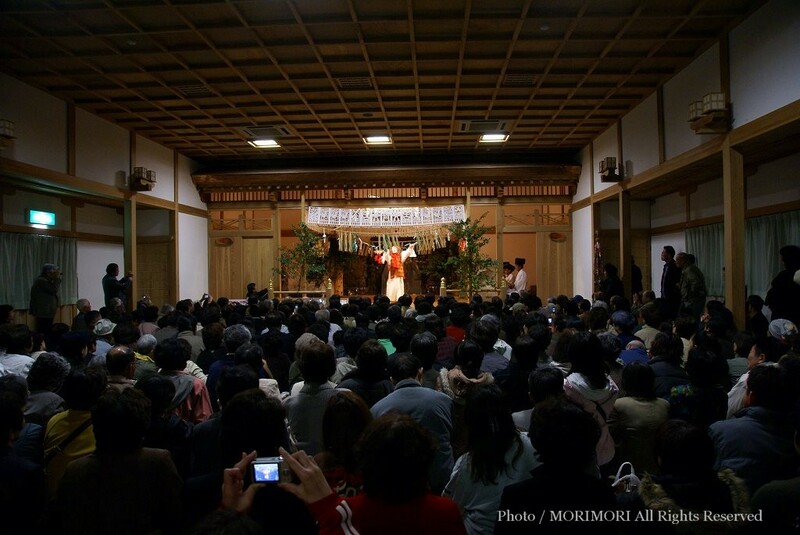 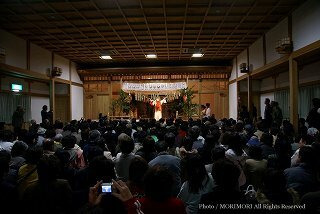 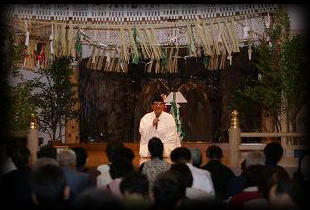 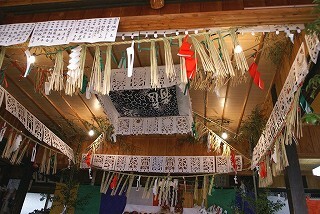 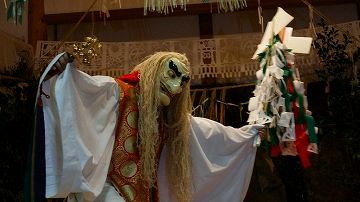 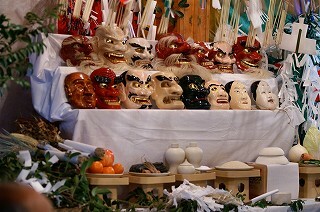 An offering of money or shochu is expected (there is a reception desk), especially if you stay to watch the whole set of dances. 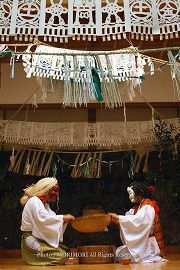 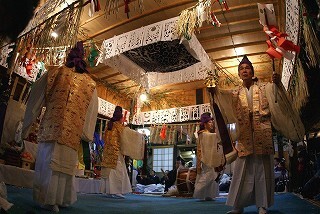 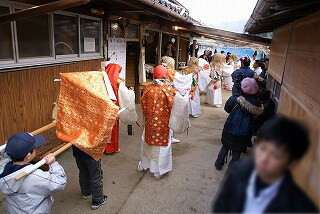 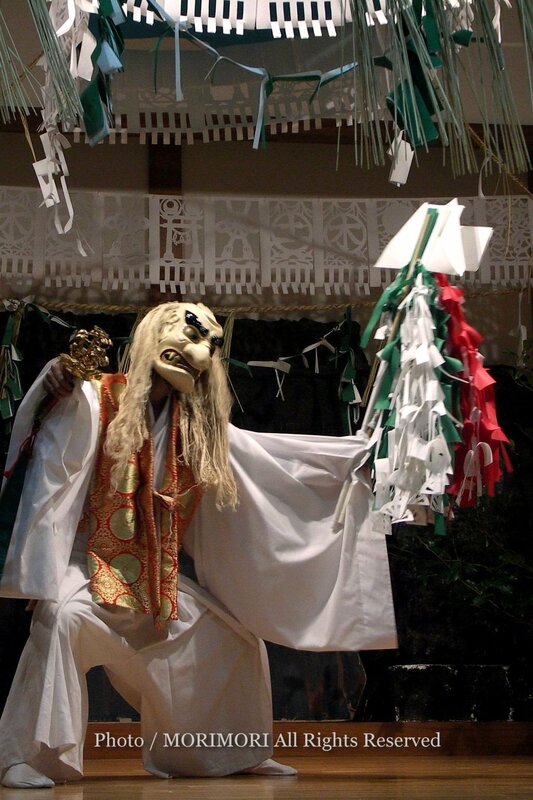 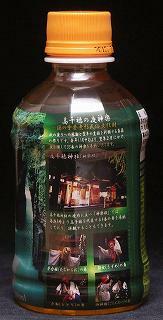 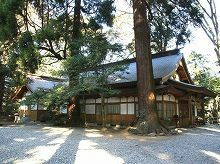 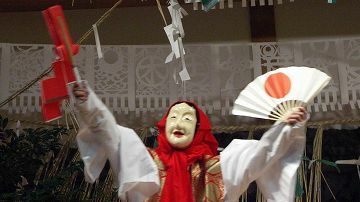 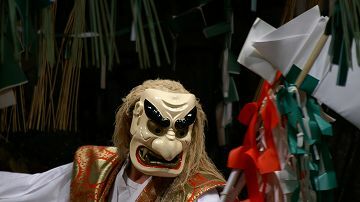 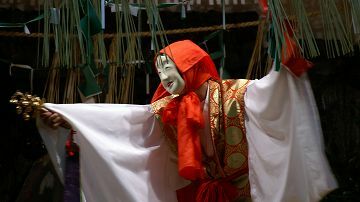 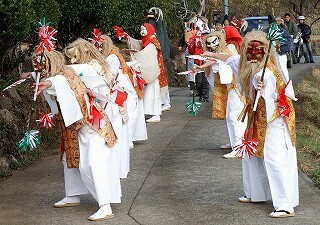 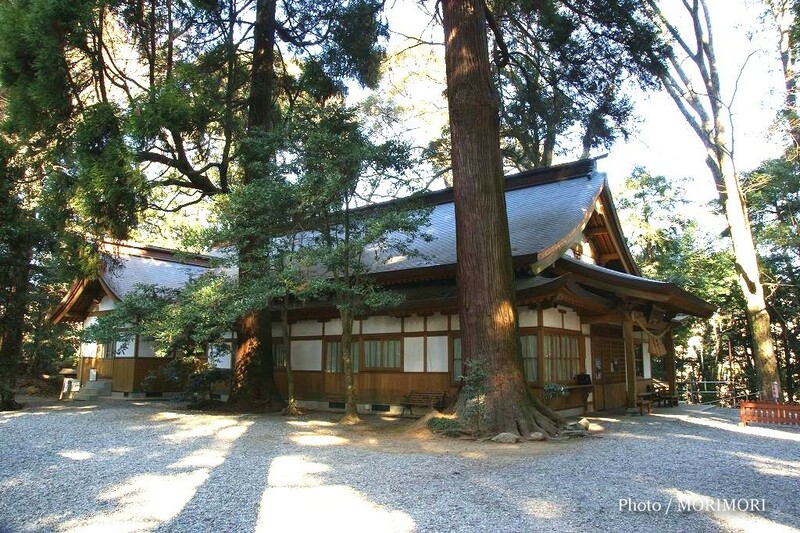 The Yokagura dance season provides the visitor with a unique opportunity to be welcomed into a community, and to savour the hospitality of the locals. 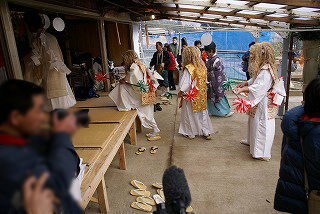 While the men dance the women provide a constant stream of home-made noodles and vegetable dishes, and of course, there is also a lot of shochu to be drunk! 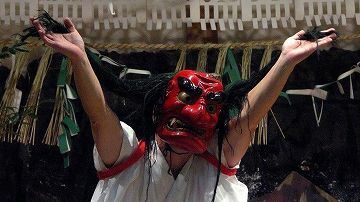 The schedule for kagura is decided inOctober. 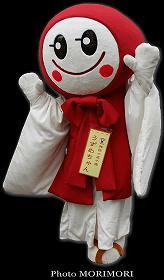 Copyright © 2002-2014 MORIMORI All Rights Reserved.